Cycle: 9 Drills. 9 Tease! Remember those flannel wearing, high top sportin’, hair teased nine inches high times? Me too! 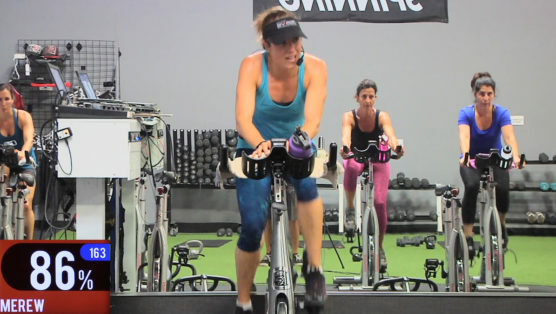 So in this killer-fun 9 Drills Spin class, we’re taking it back to those days! So, throw on your MTV Rocks shirt, head to your sweat-room, grab a towel to soak up your liquid awesome, and let’s hit the road! Love the class, but the sound level goes super loud off and on during the ride. Could yall fix that? Wow! Tough to keep on pace but boy am I dripping wet! Well this comment came through. You can comment without the pass. One of my favorite classes yet! That was great! Didn’t really feel in the mood for a spin but as soon as the music started my spirit picked up. The change in audio only happened a few times – not a huge problem. – Thank you Bethany! MM2019 oh, the memories…great class! MM2019 – thanks Bethany, really fun class. 9 drills the morning after a 6 course wine pairing dinner was just what I needed to flush some tannin toxins out! Love the tunes and the workout…thank you! MM2019- extra class! Love the music! Great workout too! Such a fun class! Thank you for a great workout Bethany! MM2019. That class sneaks up on you – I didn’t realize it was so tough until I saw how sweaty I was! MM2019. Aww…brings me back! That was fun! MM2019. Great class! LOVED the music! loved this one! great music as a child from the 90s!! YO! Bethany! loved that format… do more decades like that, it is fun. MM2019-Great 90s music! Fun class too. Thanks Bethany! This was great! You took me down so many memory road trips during this workout! Oops, logged my MM2019 status and hit Submit before commenting on the class, great class, awesome drills and tunes. thanks Bethany! MM2019. Loved this class. Funny that I remember these songs from my kids teenage years. BSP #1. Fun class, Bethany! I still can’t keep up with your speed demon ways, but it’s fun to try. 3/26 MM2019. I loved the stretch incorporated into the drill. Great class. MM2019: Great class, great music! Sweaty way to start my day! Thanks Bethany! Yay, Bethany! Was so excited for this! Loved 90s music and drills. Thank you! Best class yet Bethany!! you nailed the playlist! 45 minutes absolutely flew by!! MM2019 – Loved the music, the drills and Bethany’s coaching! Now that was worth the wait!!!! 1993 was the year I graduated! I swear that was my playlist. I love Ugly Kid Joe…I knew what song it was from beat one!! Even if it was the radio edit, your cue to stand was perfect timing…HA!! POTUS, Beastie Boys, Shania!! That was perfection!! MM2019 – tough & sweaty! MM2019 Great class – thanks Bethany! MM2019. Thanks. Gear and cadence challenges! MM2019 – challenge complete but I keep going! Thanks Bethany! MM 2019-my legs are dying after Keeping up w/ the fast cadence. Loved it!!!!!!!! !NO worries, Bethany! I graduated from college in 1995! MM2019 Woohoo – Fellow Class of ’95!! As someone who went to high school and college in the 1990’s, this is an immediate favorite!! Plus I love Bethany! Tears for Fears and Bittersweet Symphony were awesome to spin to! Thanks for this one, loved it! MM2019 that class went by so fast! Monday morning workout is in the books! OMG, this class was amazing! Thank for including Ugly Kid Joe – that really song took me back! MM2019 Good and sweaty. Love the playlist. Like someone else said, time flew by because I was reminiscing. thank you for the throwback. MM2019 WK4, awesome spin class! Well, that was awesome! Thanks for the flash backs! i like country music, I would like a 30-45 min class with flats, hills, jumps with all country! MM2019 GREAT START TO A WEEK! UGLY KID JOE!!!! MM2019 I love trying out a new class! This playlist is so much fun – time flew by (well, maybe a bit of day dreaming and remembering the good old times was contributing to it)! Class of ’98 baby! Let them do the math!😜 Rocked it girl! Thx! Thanks for the flashback to the 90s! Loved how we varied in speeds and drills! Did you get a new bike? Get ready for some good ol’ up and down in this roller-coaster fun home Cycling class! This ride is all about rolling hills – climb up and run down! It’s a simple ride for you to make it what you want! Easy? Yes! Harder? Yes! This is your ride, giving you the opportunity to decide what to do with it. Climb aboard. You can do this. I’m not saying it’ll be easy, but you can. We do things every day that are hard, and for this one you get the motivation of Studio SWEAT’s Mere W (AKA “W”), so for sure you got this! 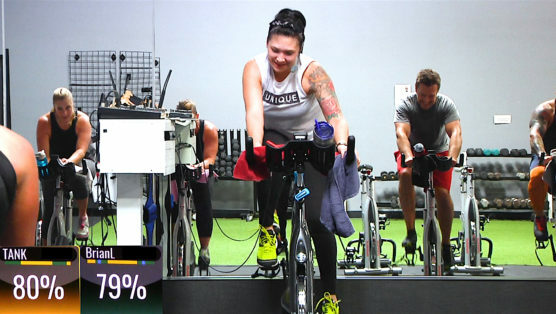 Once you begin, there’s no turning back on this awesome Spinning class! It’s non-stop movement right out of the gate, with fat torching breakaways that then lead into jumps. After that, get a super quick breather on a “feels so good” flat road before heading right into a leg carving hill where you’ll sprint it out at the top. And then somehow we fit in more jumps, hills, breakaways and a pyramid sprint series, just when you think you’ve got nothing left! Oh yeah, all that in 30 mins. Let’s go! StraightUp Spin: Go, go, go! You asked for it and you got it! 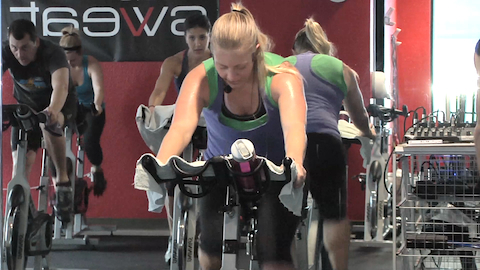 Bethany’s back with a non-stop, fat blasting, intense FULL hour on the bike! It’s a hard, but fun ride filled with sprints, hills and drop after drop of sweat! Be ready to mop up that floor after this class! Lets GO! 30 Minute Spin: Epic EPOC! Look it up ~ Think After BURN! Have you ever done an SSoD 4X5? I’m talking about four intense intervals each powered through five glorious times. Ya know when the SWEAT should begin to pour? Set 1, but you’re gonna be motivated to dig deep and push through to complete all 5 intervals in just shy of 30 mins. 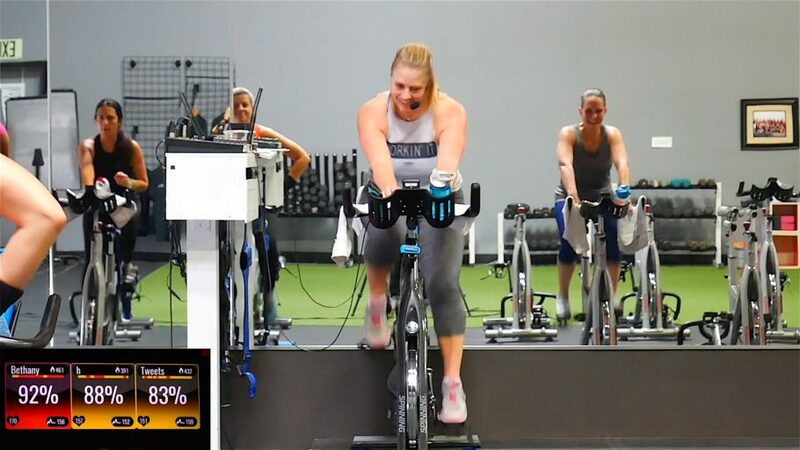 Between each interval set, you’ll have a short endurance ride to keep you in your fat burning zone, while at the same time allowing you to recharge your body’s battery, giving you the energy needed to CRUSH every power push.